To celebrate the new season of Doctor Who (which I’ve been waiting for so patiently for months! ), I thought it would be fun to do a Who–themed project…and here it is! In preparation for my Graphghan Boot Camp course, I found myself a bit rusty on using the bobble stitch for graphghans. So, as a kind of “refresher”, I started making a TARDIS square using the bobble stitch. It only took a few rows of bobbles for me to remember how it worked, but I decided to finish the entire TARDIS square anyway, just to have it in case I ever thought of something to use it for. Well, leave it to me to decide that the TARDIS square needed to be turned into a pillow…right in the middle of a bunch of other projects that needed to be done! I was originally going to make a simple C2C square to attach on the back side, but my brilliant husband suggested using fabric instead, and so the Wibbly Wobbly Bobble Stitch TARDIS Pillow was born. The texture of this pillow is out-of-this world. The bobbles on the front are soft and squishy and very defined, while the minky/fleece fabric backing is soft and smooth. I’ve included in this post the chart used for this TARDIS design, as well as instructions on how to make the bobble stitch and how to line the back side of your pillow with fabric. To get started, scroll down this page and review the tools and materials list for this pattern. You will need to know a few different types of stitches in order to make this pattern. Below is a guide to help you with the abbreviations of the terms and stitches used in this pattern (written in US terms). Yarn over and pull though 2 loops. (5 loops on hook – step complete) Yarn over and insert your hook into the same stitch. 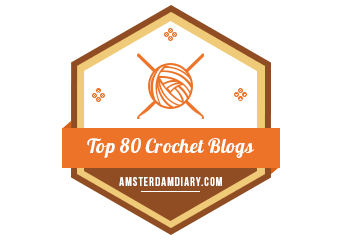 Note: to work the TARDIS chart in bobble stitch, you’ll need to know how to use the bobble stitch for graphghans. Below is a special tutorial to teach you how to do just that. If you’ve never used the bobble stitch for graphghans, I highly encourage you to review this mini tutorial! Alternatively, you can take a look at my Graphghan Boot Camp ecourse, which teaches you–in great detail–everything you need to know. If you’re a bobble stitch graphghan pro, feel free to skip ahead to the pattern. There are a few important things to keep in mind when using the bobble stitch for a project whose design is based on a graph. These techniques and tips apply to all bobble stitch graph projects, not just this pillow! You want your bobbles to “pop out” on the front or right side of your work, so you need to add a row of single crochet stitches in between every row of bobbles. This ensures your bobbles all “pop out” on the same side. The rows of single crochet stitches do not count as a row on your graph–think of them as “in between” rows, like the way the lines on the graph are “in between” each row of blocks. This sc row will be worked back across the chart so that your next row of bobbles will begin facing the correct direction. If you are a right-handed crocheter, your single crochet rows will be worked from right to left and your bobble rows will be worked from left to right. If you are a left-handed crocheter, your single crochet rows will be worked from left to right and your bobble rows will be worked from right to left. To figure out your starting chain, count up the number of blocks that your graph is wide and multiply that by two, then add 1 for your foundation chain. For the TARDIS Pillow, you’ll chain (26 x 2) + 1, or 53 total chain stitches. Starting in the 2nd chain space from the hook, sc across the entire foundation chain. This is your first row of single crochet and, remember, doesn’t count on your graph–but work this first single crochet row in whatever color as indicated on the first row of your graph. For the TARDIS Pillow, you’ll work a total of 52 single crochet stitches in this first row. The foundation chain and the first row of single crochet stitches count as your foundation rows or set-up rows–the graph itself starts with your first row of bobbles. To make it easier on yourself, always work the color changes as indicated on the graph in your bobble row! Remember to carry those color changes up every row as you go, even in the single crochet rows. Think of it this way: you’ll do two passes of each row that’s on the graph. The bobble row is your first pass of that row from the graph, so you’ll change colors on your bobble row. The single crochet row is your second pass of that same row from the graph, worked in the opposite direction, so you’ll just carry the color changes up from the bobble row below so that they line up with the image on the graph. In the bobble rows, follow each bobble stitch with a single crochet into the next available stitch. This is very important! In the single crochet rows, simply work 2 single crochet stitches into the tops of each bobble from the row before, or you can work 1 single crochet into the top of the bobble and 1 single crochet into the top of the single crochet that follows the bobbles in the previous row–whichever you prefer. There are some video tutorials of the bobble stitch online, but if you would like a complete video walk-through (and printable cheat sheets), I encourage you to check out my Graphghan Boot Camp ecourse, which will teach you everything you need to know on how to use this stitch (and others, too!) for crocheted graph-based projects! This pattern is made from a graphed chart. Click here to download the chart. Note that there are two charts…one for lefties and one for righties! Remember to follow each bobble stitch with a single crochet, and don’t forget that you’ll need to work 2 single crochets into the top of each bobble for your single crochet rows! After you’ve worked your bobble stitch TARDIS Pillow front square, you’ll need to prep that square for joining to the fabric backing by working a single crochet border around the entire square. Work 2 single crochets per bobble, working all the way around the square and remembering to work 3 single crochets into each corner (this helps prevent your corners from curling). At this time, you may also find that you need to block your TARDIS square. Use blocking boards and rust-proof T-pins to block the square into shape. I also recommend that you either weave in your yarn tails or simply tie them off on the back side (I suggest 3-4 good knots). Once that’s all done, you’re ready to start on the fabric backing! Scroll down for a full photo tutorial. The Wibbly Wobbly Bobble Stitch TARDIS Pillow is made up of both a crocheted (bobble stitch) front panel and a back fabric panel, which are then stitched together. The following section of this post contains a photo tutorial on how to measure, cut, prepare and join your fabric backing to the crocheted pillow. This is accomplished in a few easy steps. Before you begin, you must choose a fabric to use for the back of your pillow. I recommend fleece or minky fabric (which is in the fleece family, if I understand correctly) because they are soft and the edges will not fray when cut. It stands to reason that if you’re using a 12″ x 12″ pillow form, your fabric should be about the same size, right? To be honest, my TARDIS square actually measured a bit bigger than that, which was okay because that meant it would fit around the pillow. What you want is for your fabric to measure about 1/2″ shorter on all sides than your crocheted square. My TARDIS measured about 12 1/2″ x 12 1/2″, so I cut my fabric to about 12″ x 12″. Lay the fabric onto a cutting mat. Use a stainless steel ruler (or other trusty straight-edge device) and a rotary cutter with a standard blade to cut a straight line into your fabric. Repeat, cutting along all sides of the fabric until you have a 12″ x 12″ square of fabric. In the photo below, you can see my pillow form resting on top of my crocheted square. From this angle, it’s easy to tell that my bobble stitch square is larger than the pillow, but remember that’s okay! For this step, I used a notched or “skip-stitch” blade, cutting about 1/4″ away from the edge of my fabric square. You don’t want to cut too close to the edge, but you don’t want to cut too far away from it, either! Use the notched blade in your rotary cutter and cut along all 4 sides of the fabric. Use your ruler/straight-edge device to help you cut a straight line. This will cut a series of small holes along the edges of the fabric, which you will next crochet into (which in turn helps you “prep” your fabric square for joining to the crocheted square). For this step, you may need to use a smaller crochet hook than the one you used to make the bobble stitch square. I used a E/3.5mm hook, which was just small enough to fit into the holes made by my notched rotary blade, but you can use a smaller hook if needed. Insert your hook into one of the corner-most holes of your fabric. With your background color of yarn, pull up a loop. Work 3 single crochet stitches loosely into this same corner-most hole of the fabric. It’s important that you crochet loosely, especially if you’re using a smaller hook. Continue to loosely crochet around the entire piece of fabric, working 3 single crochet stitches into each corner. When you work your way all the way around to the beginning, join to the first single crochet with a slip stitch and fasten off, leaving a tail long enough to weave in later. You may notice that your fabric square now bunches a bit along the edges, but that’s okay! It will stretch out a bit once you join it to the crocheted square. To help make sure your two sides of the pillow cover match up with each other, I recommend placing locking stitch markers into each of the 4 corners through both layers of material (crochet and fabric). Not only does this help stretch out your bunched up fabric side, but it also makes it easier to tell when your joining stitches are lined up together through both layers (more about that in step 5). Place the wrong sides (the insides) of the your bobble square and your fabric square together, then pin the stitch markers through both layers of material (crochet and fabric). This pins them together. I also recommend placing another locking stitch marker at each of the halfway points between corners. Using the same hook you used to crochet the bobble square, pick a corner of your pillow cover to start in. I recommend that you position your pillow cover so that the fabric side is facing you. Insert your hook into that corner-most stitch and, with your background color, chain 1. Work 3 single crochet stitches into that corner-most stitch, making sure to work your stitches through both layers of the pillow cover (the bobble side and the fabric side). Continue to work single crochet stitches along the edge of the pillow cover, working through both layers of material. You’ll probably notice that the fabric square has fewer stitches along its border than the bobble stitch square, and that’s okay! The fabric square has fewer stitches because the notched rotary blade didn’t cut its holes at the same intervals/distances as the border stitches of the bobble square–that’s just the nature of using a rotary cutter like this. I’ve personally found that no matter what I’m making, my fabric panel has fewer stitches along its edges than my crocheted panel. This means that the border stitches along your fabric square and your bobble square won’t line up with each other. In fact, you’ll have almost twice as many stitches along the edges of your bobble square as you will along the edges of your fabric square. Don’t worry though! Because you’ve got your fabric square facing you, it’s easy to fix. You’ll basically skip every other stitch of the bobble square only, still working one single crochet into each and every stitch of the fabric square. You’re essentially skipping every other stitch of the bobble square, which will help your two layers of material to line up better. I’ll admit, however, that I didn’t do the math, so I can’t say for certain that you’ll need to skip literally every other stitch along the bobble stitch edge. Your results may even differ from mine if your notched rotary blade has its notches at different intervals than mine! That’s why I recommend placing a stitch marker along the halfway points between the corners–you can get a good visual estimate as you work along the edges, selectively skipping stitches along the bobble stitch edge, to make sure your halfway points line up with each other without having any sort of bunching. So, keep working single crochets (occasionally skipping some along the bobble layer) around the pillow cover, remembering to work 3 single crochets into the corners. When you get to the fourth and final side, stop, but do not cut your yarn! You can see in the photo above that there’s just enough room now to add the pillow. Carefully insert the pillow into the opening of your pillow cover. Continue crocheting across the last edge of the pillow cover. It will get a little more difficult to crochet your two layers of material together now because you have filled the pillow cover, but keep going! When you have crocheted all the way across the last edge, join to the first single crochet of the round and fasten off, leaving a tail long enough to weave in. And there you have it: one TARDIS Pillow that’s a little bit, well, wibbly-wobbly. This pillow would make a great gift for a Whovian in your life–or a fantastic addition to your own sofa! Did you enjoy this pattern?